Jewellery Settings | Gemstone information at Rocks & Co.
Back Home Gemstone Information Jewellery Settings | Gemstone information at Rocks & Co.
"For we are told by tradition, that he (Prometheus) enclosed a fragment of this stone in iron, and wore it upon his finger; such being the first ring and the first jewel known." If you believe Greek mythology, apart from being the guy who gave us fire, Prometheus was also responsible for getting us into jewellery. 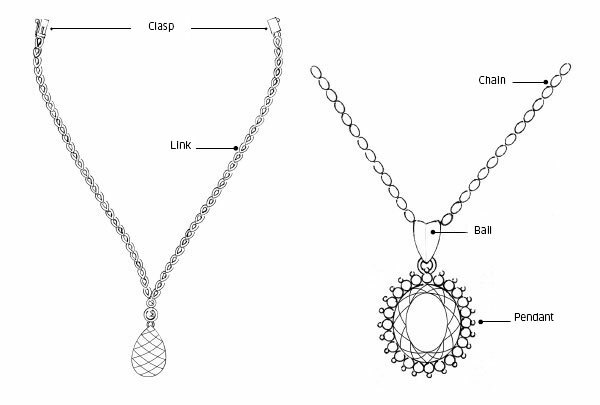 To the uninitiated, jewellery looks incredibly complex, but this couldn't be further from the truth. Gemstones aside, simply judge the balance (symmetrically or asymmetrically), proportion and finish of the metal work. 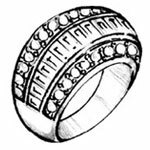 Most rings are crafted from three basic parts: the band (the ring itself also known as the 'shank'), the gallery (also know as the 'head') and the gemstone. 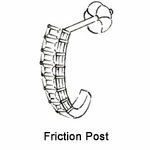 These basic parts, along with the 'findings' (the collective name for posts, clips, chains, and hinges), are used in combination to make every piece of jewellery imaginable. 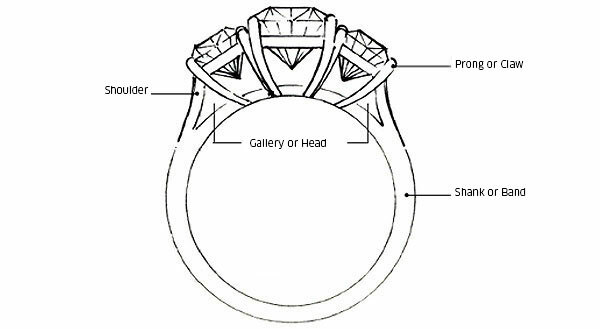 The following pages introduce you to the main setting types as well as the names of jewellery components. Description: A variant of channel setting, bar setting is not the 'ambiance' at your favourite pub. In bar settings, the gemstones are individually set between short strips of precious metal, like sleepers on a railway track. Cuts: This setting is best suited to rings featuring baguette, emerald, oval, princess, round and square-cut gems. Jewellery: Classic yet contemporary, in bar settings the sides of the gemstones are open, optimising brilliance and scintillation (sparkle). 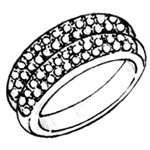 Description: A bezel setting has a metal rim that precisely encircles the sides of a gemstone, extending slightly above. The rim or collar can have straight or scalloped edges that stretch around the gem's entire perimeter or only around a portion of it, as in semi-bezel or half-bezel settings. The bezel setting is an ancient technique that can appear very contoured, slightly retro yet contemporary. Bezel setting is labour intensive as it must be balanced and straight from angle to angle. Cuts: While all cuts can be bezel set, it is easier to use this setting for ovals and rounds. Bezel setting gemstones with sides and angles are considered especially difficult. Jewellery: Since the bezel setting securely protects the gemstone's edges, girdle and pavilion, it is great for people on the go. Good for designs with bigger shoulders or bigger gemstones, the bezel setting is used in earrings, bracelets, necklaces and rings. Description: Channel setting is where the gems sit girdle to girdle in a channel created by two long tracks of precious metal. 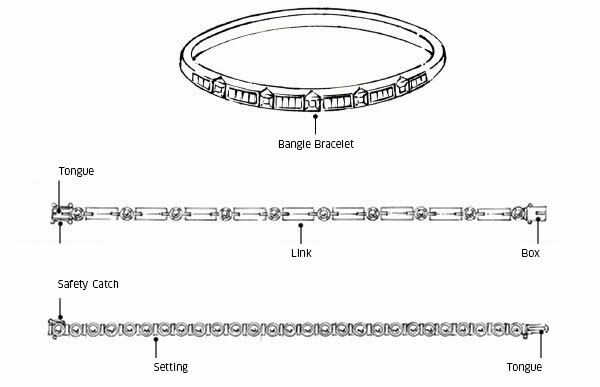 Jewellery with a groove setting is also sometimes referred to as a channel setting. While this setting allows gems to display their maximum brilliance, its success is dependent on using gems with precisely cut pavilions. Cuts: Although not always the case, channel setting is typically used for small gems of equivalent size. It is increasingly common in modern designs featuring round, baguette, emerald, oval, princess, round, and square cut gems. Channel set princess, rectangular and square shapes are particularly striking as there is no metal or spaces between the gems. Description: A variant of the bezel setting, flush setting is made by creating a tapered hole in which the gemstone sits with the surrounding metal pressed around its rim. Unlike bezels, the metal does not fold over the top of the gem. 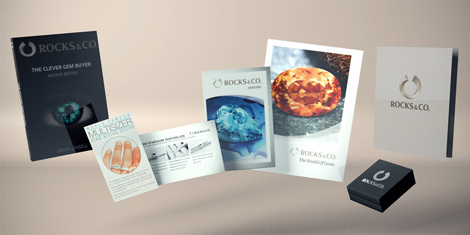 Cuts: This setting provides good protection for all gemstone cuts. As the crown rises from the setting, flush set gemstones still catch the light. Jewellery: Flush settings provide a smooth, sleek, elegantly tailored, contemporary appearance. Description: Pave is pronounced 'pa-vay' and is the French word for 'paved'. Using multiple gemstones to display an illusionary bigger look, pave settings look like little gemstone cobblestones laid close together with only a small amount of precious metal visible. The gems are separated and secured by little beads of the setting metal, resulting in a sparkling field of gemstones. Cuts: This setting is most suitable for baguette, emerald, oval, princess, round and square cut gemstones. Jewellery: This setting is often combined with other settings. 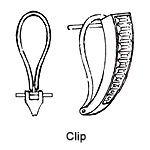 Description: Prong setting, sometimes known as claw setting, is the most commonly used technique to set gemstones. 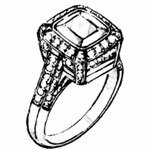 To create a prong setting, a gem is inserted into three to six equidistant prongs that form a basket-like base. 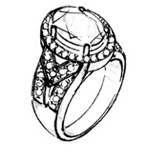 The ends of the prongs are bent over and shaped so that they rest against the gem, holding it snugly in place. While standard prong settings use four prongs, the more prongs used the more secure the gemstone. 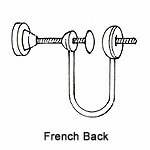 A prong's visible ends can be rounded, oval, pointed, chevron, flat or formed into ornamental shapes called 'enhanced prongs'. Cuts: Because it is relatively easy to adjust for individual cuts, most gemstones can be prong set. Its high position also freely allows the movement of light, allowing your 'rock' to sparkle! Jewellery: All jewellery types can be prong set, but specifically solitaire rings, engagements rings and bridal jewellery. For example, the ultimate engagement ring, the celebrated six prong 'Tiffany' style setting, has become the 'the ring of rings' since it was developed by the founder of the iconic New York jeweller Tiffany & Co. in 1886. Combined prong and pave settings are suited to designs with smaller shoulders or smaller gems.